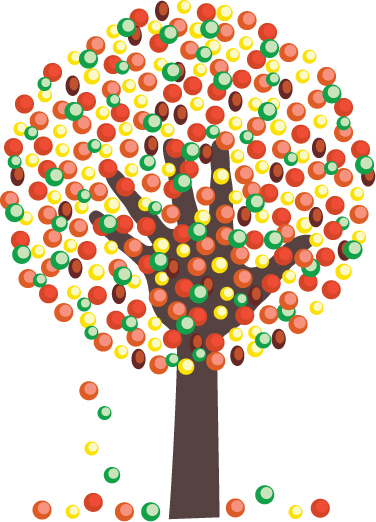 Help your 3-year-old create a beautiful fall tree using her fingertips. Happy, colorful times ahead! Acrylic paint in fall colors like red, yellow, brown etc. Using a brush, paint your child’s hand and arm (a few inches below her wrist) in brown. Press the hand on the construction paper to get a hand mark. This will be the trunk of the fall tree, with the fingers acting as its branches. Using another brush, color your fingertips red and yellow and put your fingerprints all over the branches. Let the paint dry. Your beautiful fall fingertips tree is ready!